Chrysalis offers day program opportunities for adults with intellectual disabilities in Edmonton and Calgary. Through funding provided by Persons with Developmental Disabilities Community Boards and our own fundraising efforts individuals are able to access a variety of Chrysalis programs and services. Chrysalis supports a Person-Centered planning approach to service delivery supporting individuals to achieve their goals and dreams through pursuit of employment, volunteer and /or recreational activities. Through the combined efforts of Chrysalis staff, friends of Chrysalis, parents and guardians, individuals are encouraged to participate in a wide range of opportunities that meet their individual needs. Opportunities include contributing back to the community through a variety of volunteer activities, and taking advantage of the array of programs and services offered by Chrysalis and community partnerships. Chrysalis embraces its mission of Change, Growth and Opportunity supporting personal growth, direction and transformation. 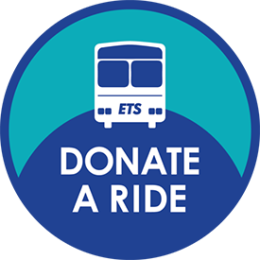 Chrysalis Society has been providing service to individuals with intellectual disabilities for over forty-five years in Edmonton and over twenty-five in Calgary. Throughout the years, Chrysalis has developed on-going partnerships with a host of individuals, employers and community agencies. These partnerships have been developed to support the mission and vision of the organization. Becoming a board member of the Society or Foundation. Employer Partnerships continue to develop at Chrysalis. Many of these partnerships focus on employment training and employment. Others are related to sponsorship of the work of the society and purchasing woods and plastics products from the social enterprise operated by Chrysalis. 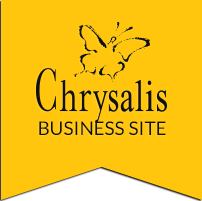 Employers often contribute to the mission of Chrysalis by participating on employer panels, being part of marketing videos and person-to-person conversations with other employers to support the development of more jobs. Employer Partnerships from social enterprise through social innovation are the focus of a two year research and development project. Community Agency Partnerships at Chrysalis focus on taking leadership within the Community Disability Sector at a regional and provincial level and participating in partnerships that increase employment and community opportunities for individuals with disabilities. Highlights have included the development of the “Be a Game Changer” multimedia marketing campaign for the employment of persons with disabilities; implementation of a diversity program in recruitment and retention that received the Alberta Leadership Diversity Award and being one of the community agency partners of the [email protected] Project established by the City of Edmonton to employ people with developmental disabilities. Employment has the capacity to provide both personal fulfillment and economic independence to each of us. This is no different for persons with disabilities. Employment Services at Chrysalis focuses on matching the skills, talents and abilities of people with intellectual disabilities to employers looking to hire dedicated employees who contribute to their company’s mission and economic viability. Work can be part-time, full time and contract. Explore interests, skills and talents of job seekers. Make connections, locate job shadows, work experiences. Provide access to a life skills course. Find work and provide support to be successful. Locate employees that fit with your company. Provide information to your staff/managers on supporting a diverse workforce. Offer direct support to employees and employer during initial employment phase to increase retention. Ensure follow-up support to individual and employer. If you are considering becoming an employer, please click here for more valuable resources to help in your decision. Community is rich and diverse in the opportunities it provides for all citizens to become active and involved. This participation allows each of us to contribute our gifts and talents to make our neighbourhoods and city a great place to live, work and belong. Community Endeavours at Chrysalis provide opportunities for individuals with intellectual disabilities to connect with their community through volunteerism and other activities. These experiences allow individuals to explore their interests, develop relationships and continue their lifelong learning. Chrysalis partners with a variety of local artists across multiple mediums to provide a solid foundation of arts based programming. This award winning Creative Arts program provides opportunities for participants to explore their creativity, individuality and develop a variety of skills through the arts. The Creative Arts Program serves to remind us that art transcends disability, age or intellectual capacity and that the possibilities are limitless. Through the creative arts programming, individuals have not only developed their artistic talents, but have been able to reach into the community through annual art shows, online auctions, distribution of the yearly Chrysalis art calendar and numerous art displays housed at high traffic public places like the Edmonton International Airport and Community Natural Foods in Calgary. Thanks in large part to this exposure; many of the talented artists are being sought-after to create commission artwork for their supporters. As we continue to expand our reach into the community and develop working relationships with local artists, the ever-evolving Creative Arts programming will continue to be enhanced offering even more opportunities for participants.